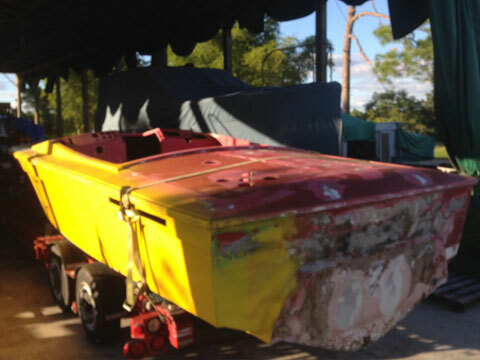 This is one of the few Donzi / Magnum race boats built for Mercury Race Team. Raced as Stern Driver by Johnny Bakos. Said to be the first staggered race boat. Wider beam compared to a 27′, Rough girl but worth the effort. Looks like a Donzi Hornet. Not the tall deck like the Donzi but a lower profile boat with an open cockpit that would make an easy conversion to a race / Pleasure set up. All hatches in place.